After my last year's holiday shopping experience, I am revising my traditional gift ideas into something that will be more convenient for me in terms of buying gifts for family members, friends and especially for the kids. For the holiday season, I usually shop for two families, two close friends, one step daughter and of course my husband and Isabella. I am counting a total of fifteen Christmas presents all together. Still shopping until Christmas Eve last year was not fun at all. Thank God for good friends who volunteered to pick up my food orders otherwise I would not be able to make it on time for Christmas dinner. This year, I found a solution to my problem. I want a stress free, no traffic and relaxing Christmas shopping. 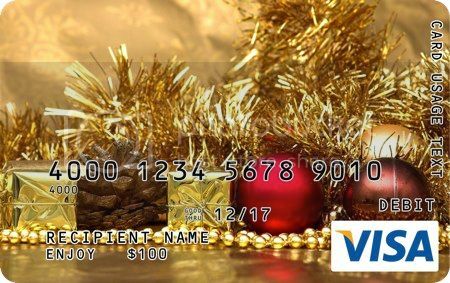 I will be buying all my presents at GiftCard.com, the largest online store for hundreds of brands of gift cards. It is a one-stop shop for gift cards like Zappos, Callaway, Foot Locker, Visa, Best Buy, Target, Lowes, Old Navy, Toy R Us, Outback and more. For sure, I would get the Toys R Us and Best Buy for kids and Outlook for the husbands and wives. You have the option if you want your gift cards delivered by mail or sent as e-gift cards. The feature I really like at Giftcard.com is they can personalize a gift card for you which to me is something so cool. A simple personal touch on the gift card makes it more meaningful to give this Holiday season. I will definitely promote Giftcard.com to my friends. Please check them out at Giftcard.com and try them too. Let me know which one if your favorite gift card and would you personalize it too? Also, Giftcard.com is now on Twitter. Do not for get to follow them at @GiftCardLab. Happy shopping.